Gain a 360° view into your customer relationships, connect feedback with operational insights, and identify the key drivers to maximize growth. 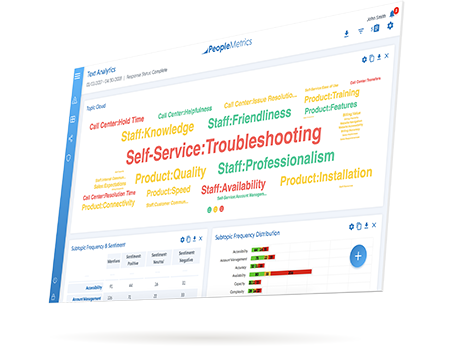 Set up real-time connections between your systems and PeopleMetrics for a holistic analysis of your customer experience. Get a 360° view of your customers. 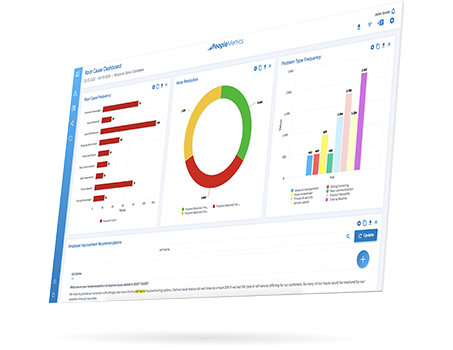 We believe that every PeopleMetrics user at your organization should have the tools they need to create better customer experiences. 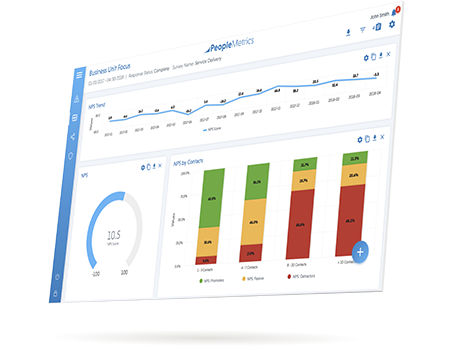 Click around and explore your data in our highly interactive and customizable dashboards. Find exactly what you're looking for and quickly share it with your team. Leverage our native text analytics engine to make sense of customer comments and unveil the biggest themes from unstructured feedback. THE INSIGHTS YOUR EMPLOYEES NEED TO DRIVE CHANGE. With the power of machine learning. 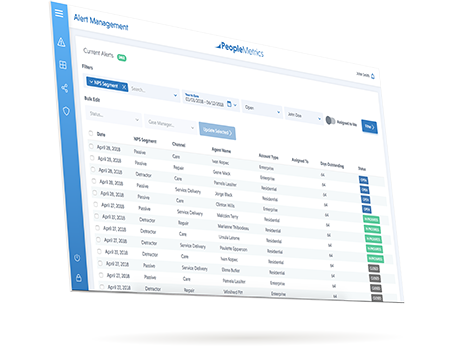 Leverage the power of real-time survey alerts. 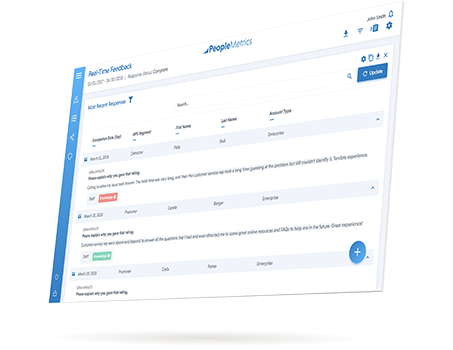 Act on feedback and quickly coordinate follow ups to save at-risk customers and drive growth. 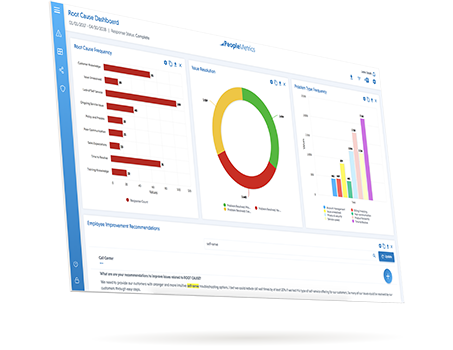 Create root cause tags and report on key operational themes that might be causing customer experience issues. READY TO START HITTING YOUR GOALS?